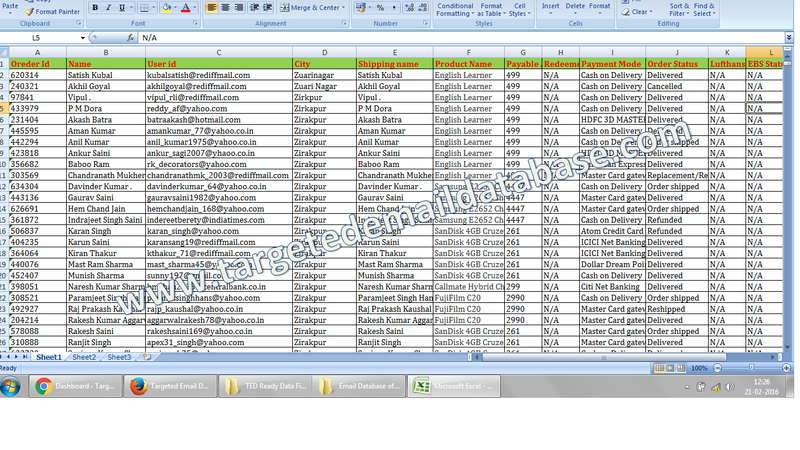 Email Database of Online Shoppers & Buyers is an Email List of People who Shop & Buy Online Frequently. 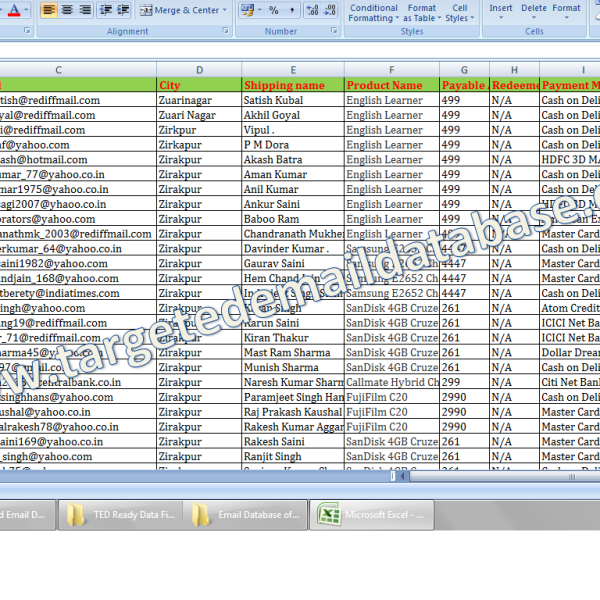 Details: Email Database of Online Shoppers & Buyers is an Email List of People who Shop & Buy Online Frequently. Fields Mentioned: Person Name, Email id, Items Purchased, Cost of Items, Payment Mode, Shipping Details, Billing Details, Address, Location etc (Check Samples for details). Usage: Extremely useful for Selling & Marketing of any Products or Services Online.